Dark tan or beech colour socks. 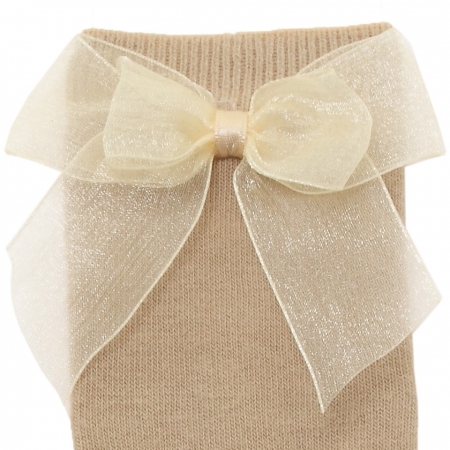 Double organza cream colour bow. Made in Spain by Dorian Gray socks.